I personally have been doing improv classes for 5 years. In this time, I have had the same conversation with many non-improvisers repeatedly. It usually goes like this. The person will then go on to list a variety of reasons as to why they, specifically, are the least qualified person to ever do improv comedy ever. I have been through the same transaction so frequently now that I’ve managed to create detail responses to almost all the main excuses people find to not take the leap and try improv comedy for the first time. Many of them are embedded in a misunderstanding of what improv is about or a fear of what it may entail. What I hope to do is dispel some of the myths and correct some of the assumptions that people make around improv comedy and what it entails. This one often comes in tandem with the idea of not being funny. Now, I’m not going to try and convince you that being a comedian should be everyone’s ambition. That would be ridiculous. However, not all people interested in improv are comedians. Improv classes are more than just learning to be funny or becoming successful in comedy. They are about becoming more confident, creative and flexible. Many of A Mind Apart’s students attend our classes to become better at thinking on their feet, being spontaneous and feeling more comfortable speaking in front of others. This is another misconception about improv comedy. The idea that improvisers are whizz kids with brains that work at lightning speed.That we have a superhuman ability to think on their feet. Again, the reality isn’t so exciting. I wish as an improviser I could brag about my natural ability to think quickly and always pull out one-liner in a snap. The truth is that the speed of an improviser is dictated by how well they follow the rules laid out for them. 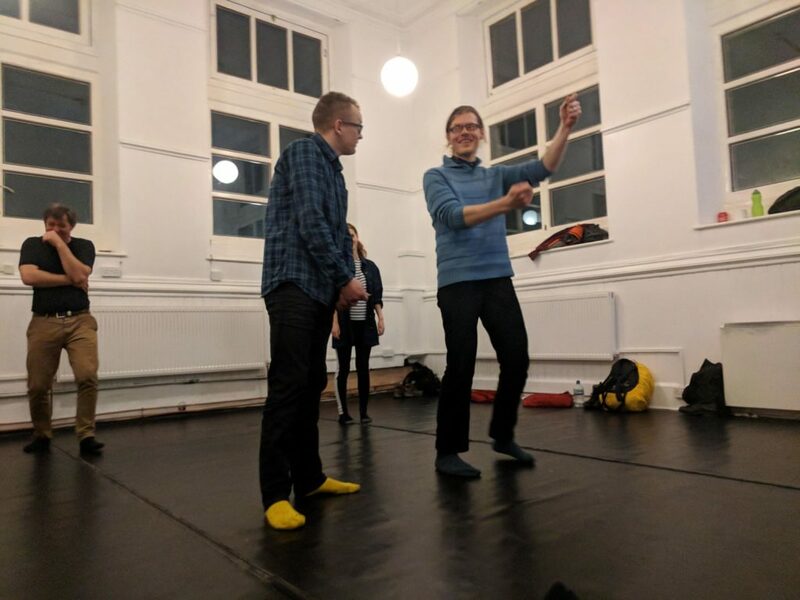 Improv is a set of guidelines that help make you better at coping with uncertainty, embrace failure and structure thought so that you can be more creative without extensive preparation. By taking an improv class, you learn these rules and can become improve your conversational speed and fluency. Improv classes are not a privilege to those who feel confident enough to do it. They rather the key to unlocking that confidence and feeling more comfortable in these environments. Around 90% of the improvisers I meet talk about how an improv class was the beginning of their journey to becoming more confident in the rest of their life. It was a way for them to demonstrate to themselves what they were capable of. Improv isn’t a fix all or a magic spell or a path to a perfect life, and I’d never try to insinuate it was. However, it is also not a special club just for the super confident and quick thinkers of the world. It is a tool. It is a set of guidelines and lessons that can change the way you approach everyday situations and can notably support your outlook on the world. So be brave. Make the leap of faith. Take an improv class.